News that the Mt. Gox bitcoin exchange filed for bankruptcy sent shock waves through the crypto currency community. It has been reported that 850,000 bitcoins were lost. Just vanished into thin air. For those investors who have claimed that bitcoins are the new gold, this latest incident will likely drive them to re-think their safe-haven asset allocation strategy. Gold investors have the backing of thousands of years of global history of using the metal as a currency, store of value and an investment—and that likely isn't going away anytime soon. Did you read this story from December 2013? Is It Time To Dump Your Gold And Buy Bitcoins? (The answer was no, of course). Today, bitcoin trades at $575-577. 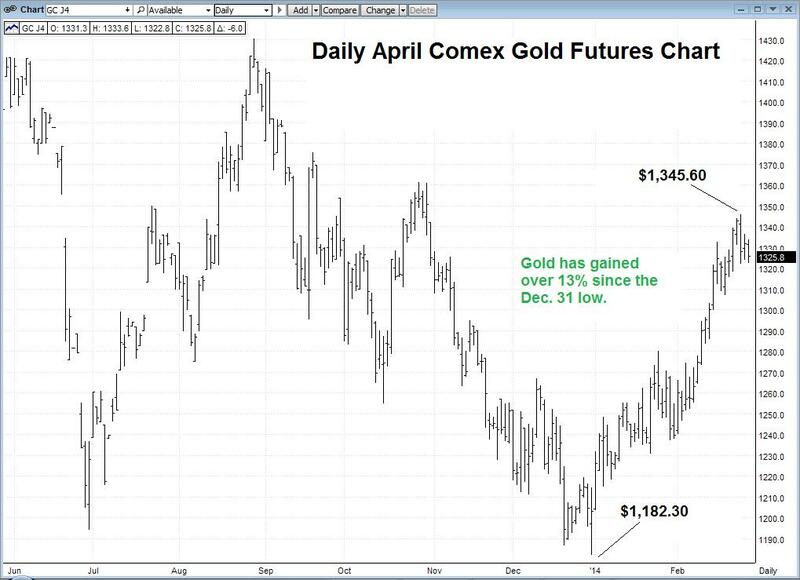 Now, let's take a look at what we know and hold dear about gold. You can hold it. It is a store of wealth. It's rare. Gold is a physical hard asset that you can hold and touch, or put in your safe deposit box. It's real. Gold is considered to be the world's first international currency when King Croesus first minted coins back in 564 BC. "Gold is rare. At the end of 2012, there were 174,100 metric tonnes of stocks in existence above ground. If every single ounce of this gold were placed next to each other, the resulting cube of pure gold would only measure 20 metres in any direction," according to the World Gold Council. Hackers or hard drive crash. No matter the cause behind the Mt. Gox system failure, the end result is the same. The bitcoins are gone. If you own gold, you can go check on it now, but I imagine it is just where you left it. Now let's look a gold chart. While bitcoin prices have been falling in recent months, gold prices have been climbing. The bulls are in control of the near and medium term trends. But, more importantly you've still got your gold. Kira Brecht is managing editor at TraderPlanet.